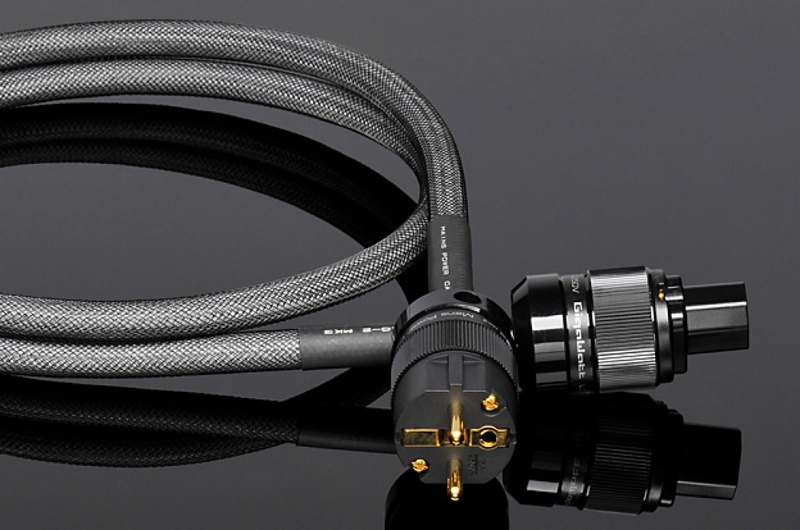 LC-2 MK3+ is a high quality power cable, designed to power Hi-Fi audio and video systems. This cable is also the basic equipment of GigaWatt power strips and power conditioners. In the improved construction of the cable we used a new conductor with high conductance and a new isolator. Lossless flow of energy is made possible by the strands of the cable made up from six solid core conductors with 1,5 mm2 cross-section. The isolation of the conductors is made from elastic polyethylene with lowered dielectric constant. The LC-2 MK3+ has twice the cross-section of the working wires compared to the LC-1 MK3+. The external sheath is made from soft PVC, which allows for increased flexibility of the cable. Another protection is given by the plastic braid, wear resistant, and equipped with an anti-static mesh, which prevents the occurrence of static loads. The very high cross-section of the cable guarantees negligible resistance and almost unlimited current flow. On the other hand, its comparably high intrinsic capacitance, which is caused by the cable geometry and the characteristics of the dielectric, stands in for great filtering and damping capabilities for a wide range of interference. The wires of the cable are protected by a static shield, made from laminated aluminum foil with an internal, copper flow wire. The tight construction of the shield covers 100% of the surface of the cable, perfectly protecting against all kinds of external interference. In addition the shield prevents the appearance and spread of internal interferences as well as returns parasitic currents to the ground wire. In the construction of the cable a lot of attention was devoted to the reduction of the vibration created by the electromagnetic field induced around the conductors. All parallel twisted wires and the shield are covered with elastic material damping the unwanted vibration. The cable is equipped with high quality, proprietary plugs, which allow for steady current flow from the power grid. Their solid contacts were made from brass, gold plated, what guarantees low transfer resistance and large amount of connection cycles without compromising the cable parameters. The contacts of both plugs were de-magnetized and cryogenically treated. All conductors are connected without the use of solder, and the connections to the plugs are bolted, what guarantees high reliability and optimal functionality. This cable is also available in high current version, LC-2HC MK3+, being the standard equipment of the flagship power conditioner PC-4 EVO+. The cable is then terminated with a PowerCon 32 Amp plug, capable of transferring stable current of 32 A. In boxed version, the cable is packaged in an ecological, wooden box. The LC-2 MK3+ is a power cord, which great capabilities bring an immediate, and clearly noticeable, improvement of the sound and picture reproduction in audio and video devices. Its clean and powerful sound results in a very expressive and musical reproduction, with the different parts of the sound spectrum being well balanced. The vivid, deep and palpable sound is the main asset of this cable.